Express City is a well planned, fully integrated, modern township where all present and future needs of the residents have been taken care of. Spacious Villas and regular sized plots with well planned wide roads, drainage system and street lighting are the hallmark of Express City. The whole township would be bifurcated into well-defined residential sectors with ample provision for nursery schools, shopping complex etc. Safety & Security Features etc. Regular Geometrical shape of Plots. Infinite possibilities for personalized Designing. Dwelling surrounded with libetl amount of. A modern sewage disposal system. The Villas and plots are available in varied sizes to suit individual tastes and needs. The regular shaped plots ensure flexibility in planning and personalized design. 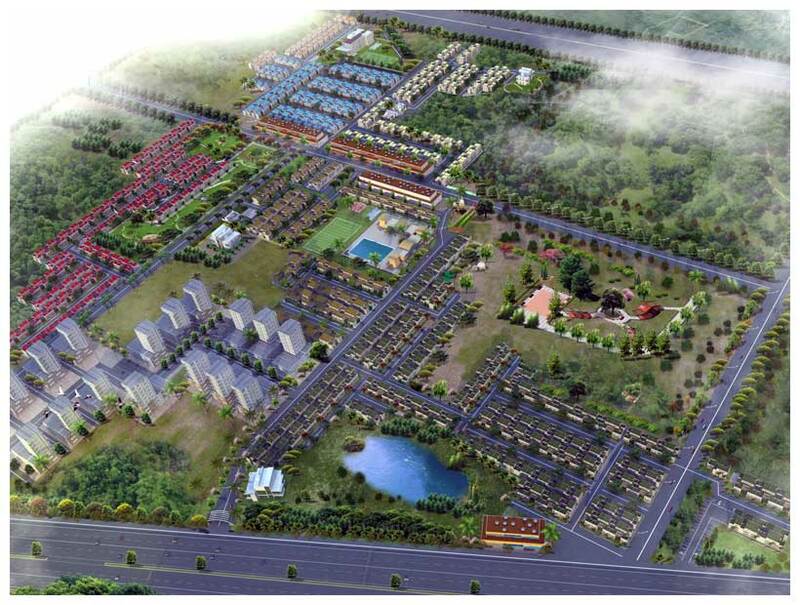 Adequate open space is being provided in front of the plots for development of green cover. Innovatively designed with eco-friendly features, the villas shall compliment the modern cosmopolitan lifestyle of its residents. 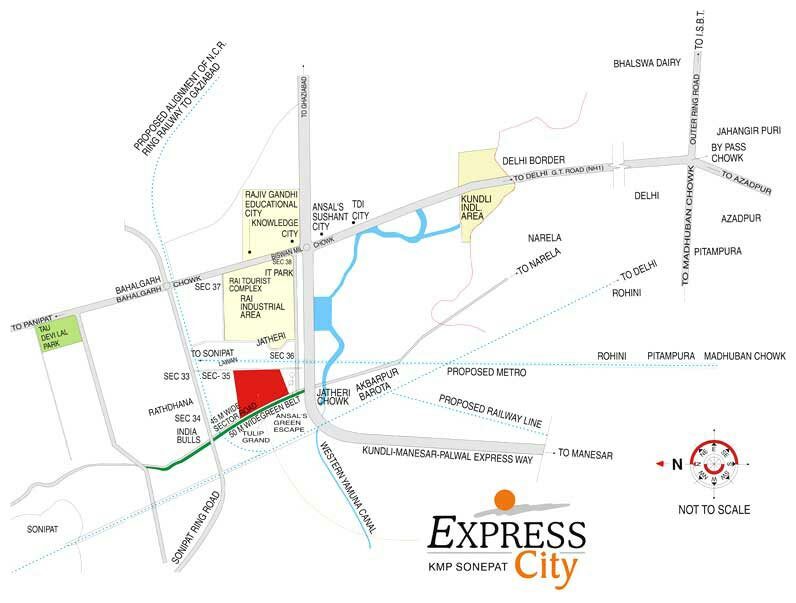 Express City invites you to an open lush green environment with well carpeted, wide, illuminated arterial road network. Free flowing area for movement. Dwelling surrounded with liberal amount of greenery. 2/3/4 BEDROOM APARTMENTS AND PENTHOUSES IN VARIED SIZES ARE THE OPTIONS TO CHOOSE FROM. 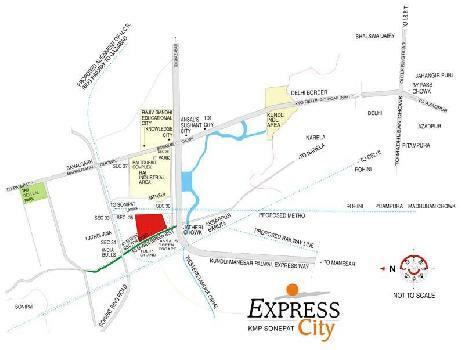 The appealing apartments of The Express City would mesmerize its residents. The superior style and the dazzle of architectural appeal bear the mark of Express Group, having more than 3 decades of experience. An effortless blend of modernity and elegance reverberates all around. Be it interiors or exteriors every detail has been carefully thought upon before converting it into scintillating reality. Ultra Modern fixtures and fittings. Seismic zone IV specifications for all constructions. Ultra modern fire-fighting system to ensure your safety. ENJOY THE CHARISMATIC SET UP TO EXPERIENCE THE CELEBRATION OF YOUR LIFE. Express City is a visual feast with a vast green belt stretching along both sides of the township and a touch of greenery at every corner. Express City has star attractions of fountains, joggers tracks etc. The "exotic exteriors" of Express City will mesmerize you endlessly through the cool surroundings. Designed in harmony with the tenents of Vaastu Shastra, Express City is a creative blend of innovative space management, with perfect synergy of privacy, aesthetics and vast green spaces. Wide & networked jogging tracks. Demarcation of residential and non-residential areas to minimize noise and air pollution. WHAT A WAY... TO START YOUR DAY.. Leading life with style is the motto of Express City. Exclusive as well as all-inclusive recreation facilities will keep your social nerve ticking. Various means of entertainment, indoor sporting facilities and leisure games will be there for that extra dash of stimulation required by mind and body. Have an early morning tryst with nature at the jogging track. Melt your lethargy and experience a healthy lifestyle after an invigorating walk along well-trimmed track. A tempting water pool will invite you for a cool leisure swim during summers. Ultra Modern recreational area with Swimming Pool. An up-to-date Gymnasium with modern facilities. Pole lights for dazzling bays and spaces. Security Posts at all essential junctures. A power station that will remain 24 hrs functional.